Great Impressions: Do What Makes You Happy! 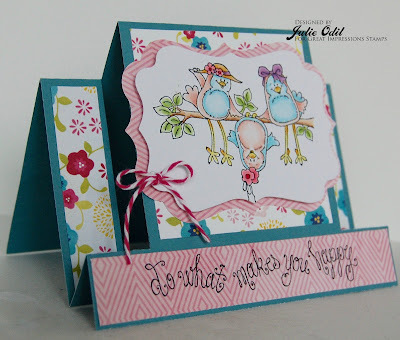 card to share. Do what makes you happy, right? Weeeeee! These birds are having too much fun! 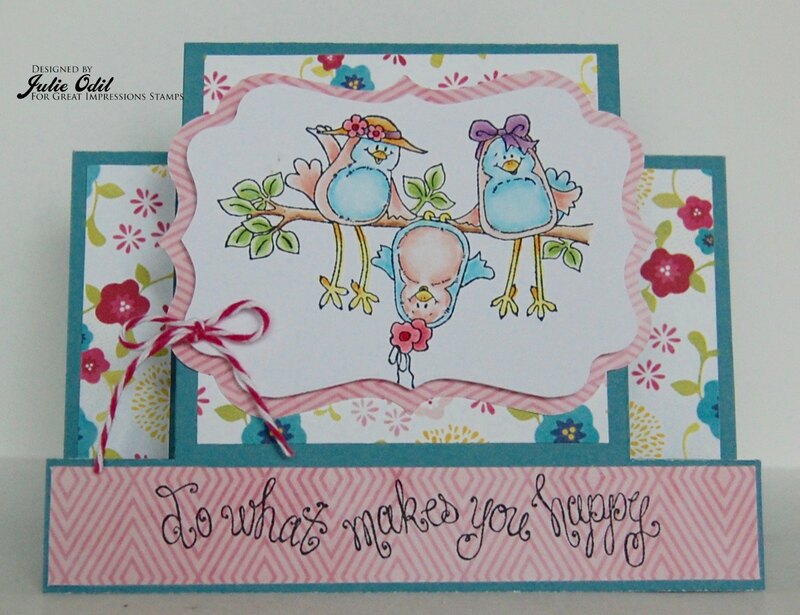 This is Birdie Friends (G525), colored with Copic markers, and sentiment stamp Happy (E878). Tomorrow, a new challenge starts here on the blog. Come check it out and enter! Visit this blog each day for lots of wonderful projects from the talented design team. Then, visit the Great Impressions Store and shop!